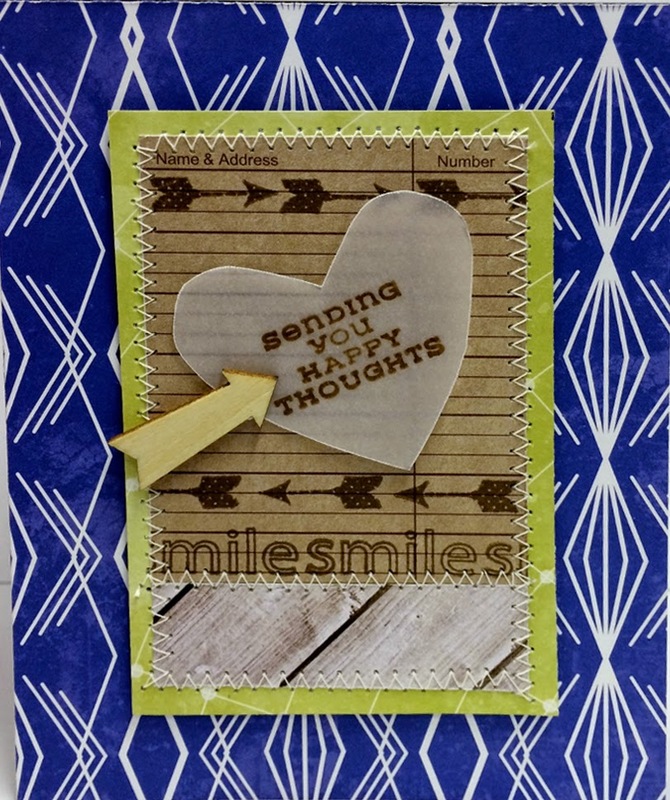 Here is part two of my Sending Happy Thoughts cards, these cards were created with the same basic design as the Part 1 cards. These cards feature the brand new Jillibean Soup/Yellow Saffron Soup collection and the same Hampton Art Vintologie Stamp and stencil set. The basic design of both cards is two center panel mats with stamps and embellishments to coordinate with each. What I love most about the cards in this series is that they work for so many different occasions. The card above I sent out as a get well soon card and could work for male or female. The ledger cutout is from the Jillibean Soup/Soup Staples III Bite Size bits sheet. I stamped directly onto it the smiles message across the bottom and the arrows at the top and bottom. 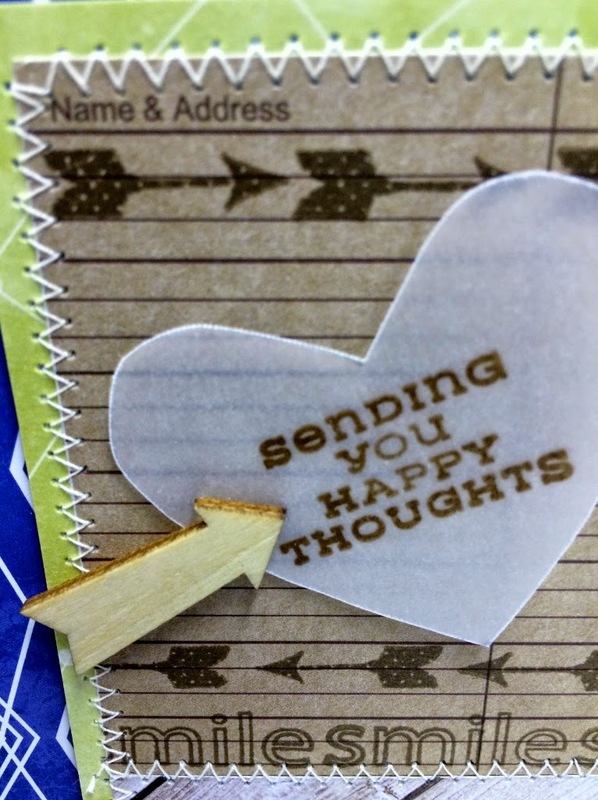 I added machine stitching and the stamped vellum heart and a fun new wood veneer from Jillibean Soup. This card shows the versatility of the new Yellow Saffron Soup collection, and how cute are those umbrellas- oh my goodness. So this is another card using same stamp set and same Bite size bits sheet , but a totally different look. I stamped “hello” bubble directly onto the center panel in brown ink and also the “sending smiles” sentiment onto the vellum heart again. Then I machine stitched the center panel to the card base with white thread and added the vellum heart with a foam dot, covering it up by placing the crazy cute wood umbrella over top of it. Hopefully this will inspire you to create using a new approach, an approach that allows you to use the same basic design to invent several different cards all at once.